Not Just a Dance Mom… I’m a Karate Mom Too! My son Michael is a busy boy! He has A LOT of energy that seems to never end. We try to harness some of that energy by having him participate in activities in the evening. This year, he is taking hip hop dance at Lake Area Dance Center. He’s been saying he wanted to dance every year since he was pretty little, but has always decided not to at the last minute. 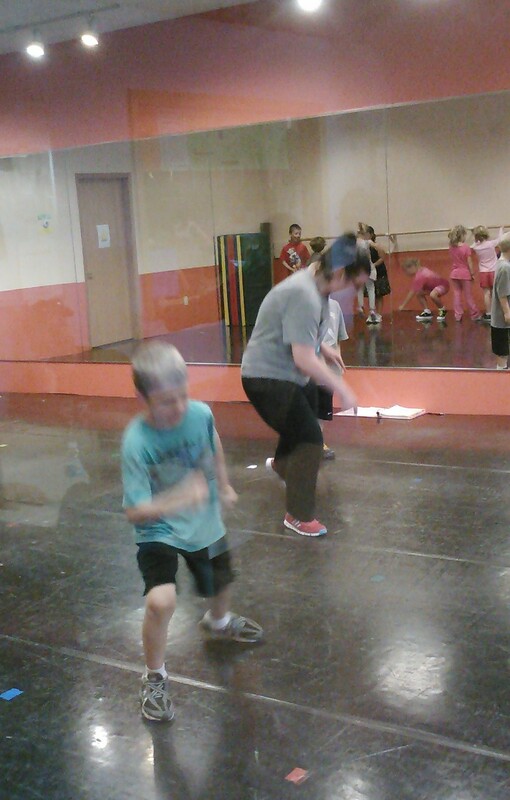 This year, when he found out there were going to be 4 boys in the hip hop class for his age group, he decided to try it. The class is down to only 2 boys among the 9 or so girls, but he’s sticking with it – at least for this year. He’s very nervous for the recital, but doing great at learning his dance! The main way we harness Michael’s energy, is through karate. For about a year and a half, he has been taking karate at Forte’s Karate. He is currently an Advanced Blue Belt, but plans on continuing to black. It has been a great way to burn some of his energy, but also helps him learn to focus and control himself better. He still struggles in this area some, but has come a long way since starting karate. 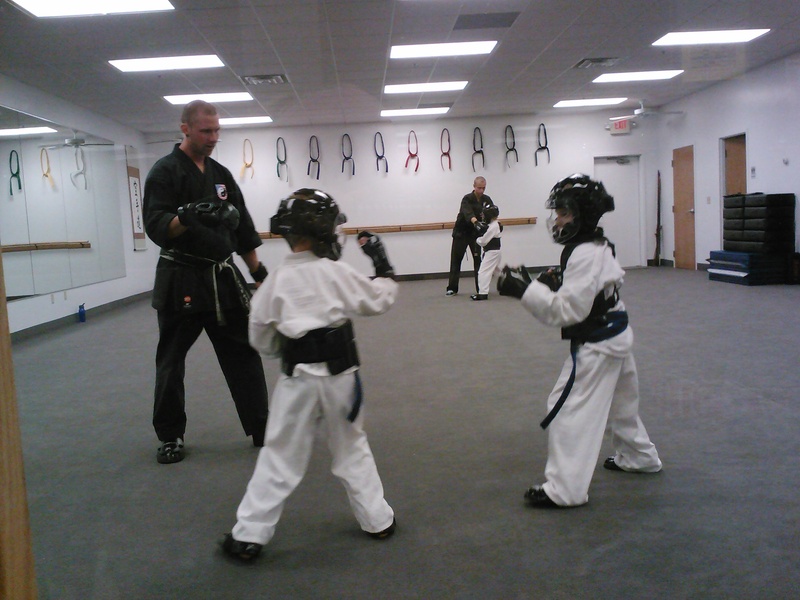 Recently, Michael has started sparring on Thursday nights too. I’ve been leary of having him spar because he’s only 7. I was worried that due to the difficulty he has controlling himself on a regular basis, that sparring would not be in his best interest. His dad bought him sparring gear for Christmas, so I decided to let him try it. Happily, I was wrong about him having a hard time with sparring. He’s been doing well and loving it! I love watching my kids enjoying activities that I participated in when I was younger. I love being a dance AND a karate mom! Previous 2012 in review – Dancem0m Next One BUSY Day!! Ran into your website by accident. 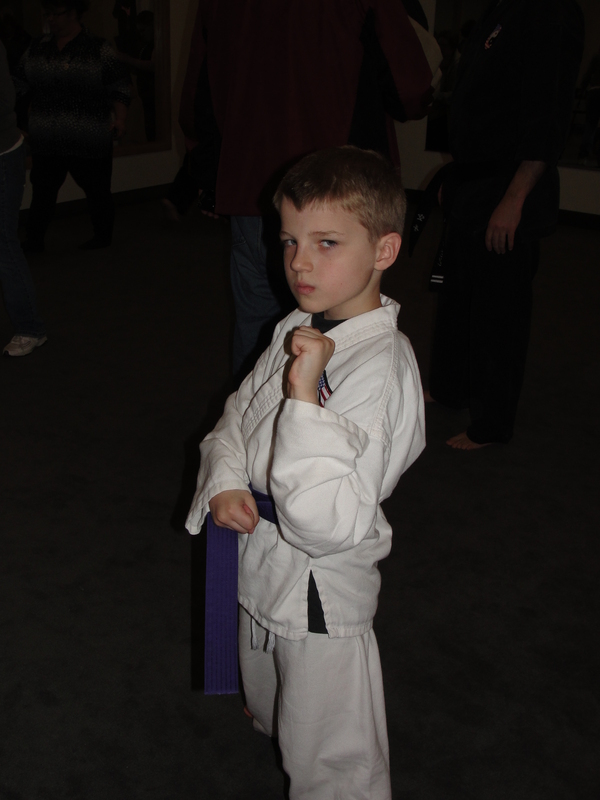 I’m also dance mom, & a karate mom He’s a brown belt headed to advanced brown. He’s also in hip hop while his sister’s competition team dances. To top it off…we live in mn. Your description sounded much like my own! Where in MN? Which studio does your daughter dance for?